Want to know what’s hot this summer? The 10 trends listed below are popping up all over the internet as the ones to watch. 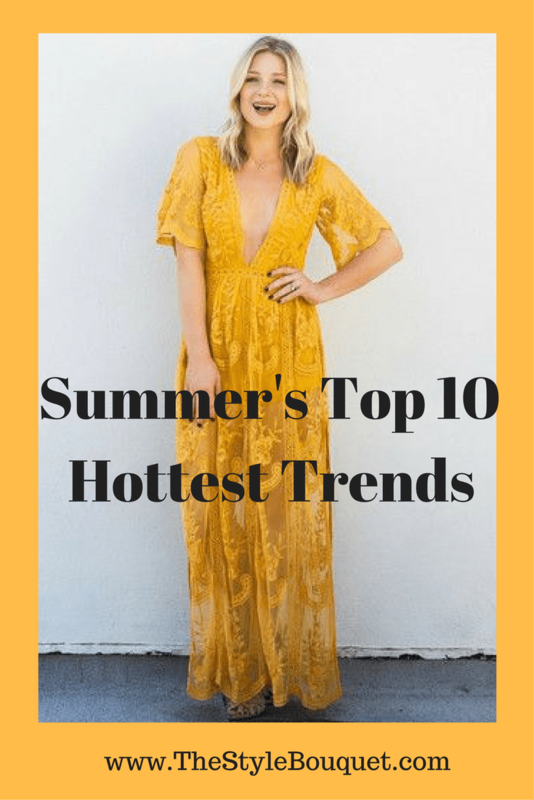 All of these trends have gone viral as the trend of “right now” and summer has just begun! It’s time that you get a head start on these trends and don’t get left behind! Yellow dresses were all over the runways and red carpets during awards season. Think Cate Blanchett in Valentino, Rosamund Pike in Alexander McQueen and who can forget RiRi’s imperial yellow, fur trimmed number at the Met Gala. You, too, can find that perfect hue for your hair and skin type and look awesome in yellow this summer! Swap out your run-of-the-mill denim jacket for an oversized straight cut version. The relaxed boyfriend fit will give you that effortless model-off-duty look à la Gigi Hadid. This jacket is perfect for cooler climates where the warmer weather subsides some in the evenings and a jacket is appropriate. Take on the rising temperatures with this effortless wardrobe staple! 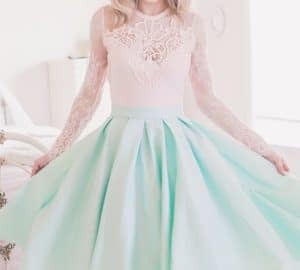 From colorful patterns to off-the-shoulder styles, you’ll want to include several of these dresses as your “go-to” for special occasions or just for a night out. Follow the trend that Eva Longoria was seen rockin’ in Mexico this year! Red swimsuits are everywhere and they look HOT! You can find them in a variety of styles to fit your body type. While the midi skirt length dominated much of the SS17 runways, the mini dress and skirt certainly made its triumphant return. Show off those legs (and your hard work in the gym) by wearing one of these mini dresses out for the night! Many designers like Vetements and Tommy Hilfiger included cropped hoodies in their SS17 collections. They are very versatile and can be paired with a variety of looks as seen here. Everyone’s new favorite “it” shoe is the Adidas Superstar! Check out how these celebrities are wearing them! Denim jumpsuits come in all varies from pants to culottes. They are very much on point for the SS17 season and can be found in a variety of different stores and online! You can dress them up with heels or down with your favorite pair of sneakers (maybe the Adidas Superstars, a trend from right above). According to Elle Magazine, Bucket Bags are considered less a trend now and more of a wardrobe staple. If you haven’t added one or more to your handbag/purse wardrobe yet, this is the season to do so! Silk dresses have been a hit on the runways for SS17. In particular, Gucci adorned many of its models in silk dresses that were just stunning. The fabric is light, breezy, and flows well. It’s perfect for summer! I’m into the denim jumpsuits and the bucket bags for sure. I have been OBSESSED with yellow this summer and floral dresses! They are so light and fun! Love them all except the cropped hoodie. Too bulky and uncomfortable! Great list of picks! I am loving yellow dresses at the moment too. And maxi dresses are my go-to for summer!